At first I didn't believe in the difference between rangefinder and single lens reflex (SLR) shooters. This, in spite of years of discussions with my close friend Shawn, a dyed in the wool Leica shooter. I never understood his more contemplative approach to shooting and the esthetic mindset he brought to his personal photography. That is, until now. I wouldn't have thought that a non-reflex camera would find its way into my kit. I did, and do, carry a Nikon P7700 as an emergency "shoot flash in bright sunlight" camera, but its tiny sensor made for some rather noisy images, and a lack of sharpness that I could feel more than I could see. True, a pixel is a pixel, but compact cameras with small sensors just don't produce the kind of images I've come to expect. 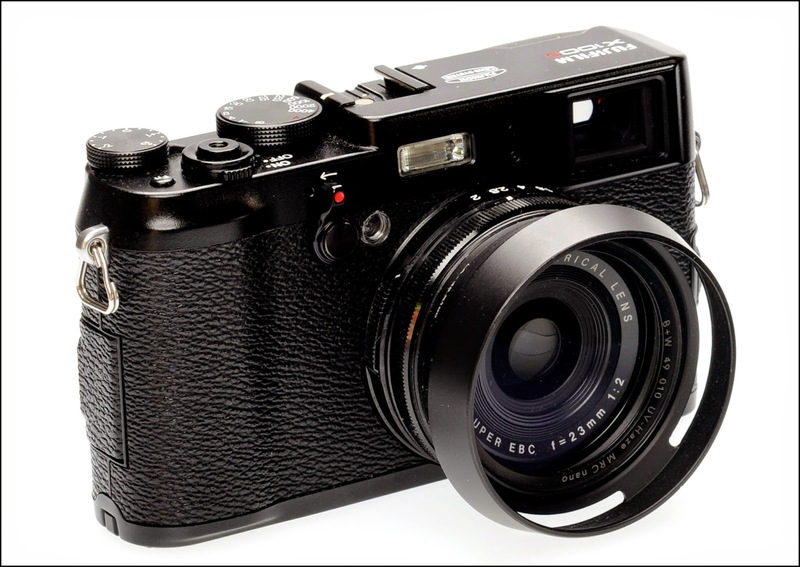 The Fuji X100s: Admittedly, this is the camera that started me thinking. Something of a novelty when it was introduced, it was definitely not a toy. Among its noteworthy features: A solid, camera-like feel, conveniently placed external controls , a hybrid optical/digital viewfinder, and a non-interchangeable 35mm F 2.0 equivalent lens. I hemmed and hawed for a very long time, but finally "bit" when a new, all black one was available for purchase. Find an indoor location where the ambient light is enough to allow for proper auto-focusing, but not so strong as to influence the exposure of your sample images. Be sure your camera and flash are OFF. Mount your camera on a tripod (optional). Attach your flash to your camera. Turn your camera an flash ON. Set you flash/speedlight to 1/2 power output. Set your shutter speed to 1/125 of a second to start, and make an exposure. Examine the playback image. If you can display a histogram, so much the better. If the image is too bright, stop down your lens or decrease the ISO setting until you get a centered histogram. If it is too dark, set the lens to a larger aperture, or increase the ISO setting. When your aperture/ISO combination yield an centered histogram, continue to the next step. Set your shutter speed to 1/160 of a second (or the next shorter exposure increment) and make an exposure. Compare the two images. If the histogram is displayed, you will (hopefully) see no difference in their horizontal alignment. 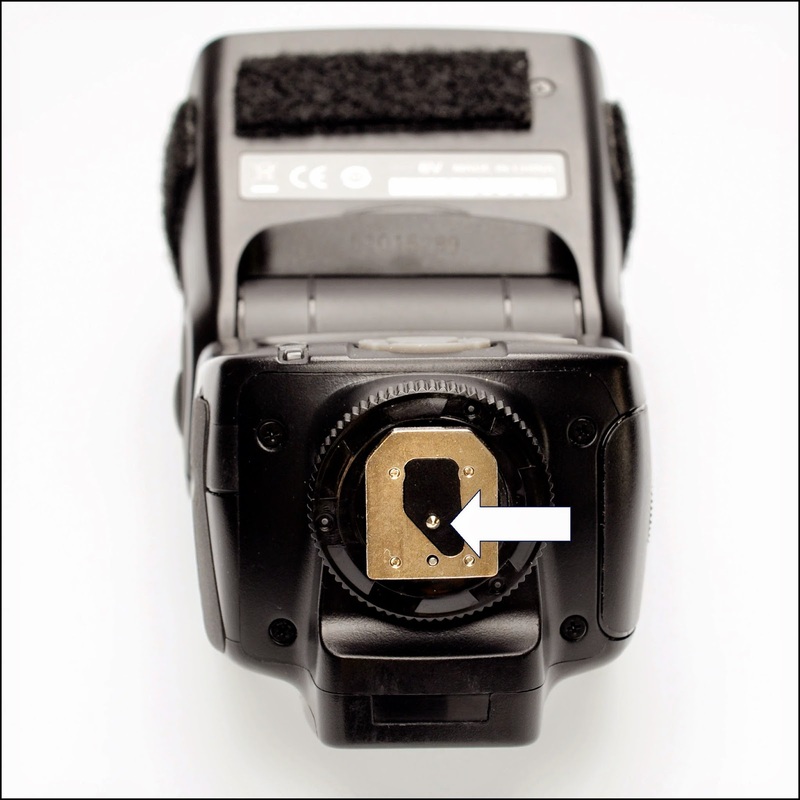 This tells you that both shutter settings can take full advantage of the flash's 1/2 power output. Without the histogram, you can get a rough idea by just comparing the images. Continue to decrease the exposure time until the histogram shifts noticeably to the left. This indicates that some of the light from the flash is being "clipped" from the tail end of the discharge curve. When you see this, you know that you've had exceeded the minimum shutter speed for your flash when set to 1/2 power. You can repeat this for a flash setting of 1/4 power. Once you have these numbers, write them down on a piece of tape attached to your flash.This actually took longer to read than to actually do. See Photo #1. This flash is my Young Nao 560, an inexpensive (or cheap, depending on how you feel about the unit) flash that has accompanied me on several outings. I've used it primarily with my Nikon D70/70s cameras, and my Sony, specifically for use in augmenting direct sunlight outdoors. As you can see, I've done the tests and recorded the results for future reference. 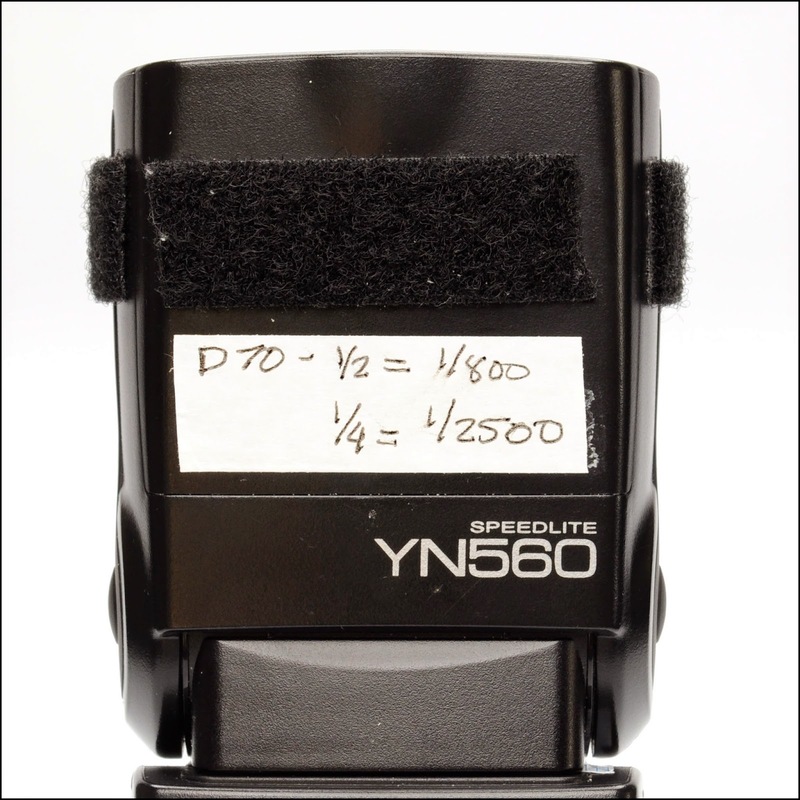 I chose the YN560 because of it no-frills triggering system (central contact pin and hot shoe contact) which allows the unit to be fired without the camera body actually knowing there's a flash present (Photo #2, arrow). This is the main reason I use it, and resign myself to struggling with manually determining the proper aperture setting.